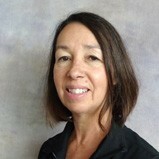 Phyllis Boashae is an aquatic instructor. She received her certification from the Aquatic Exercise Association in 2016. Phyllis is a retired registered nurse. Amy’s passion for exercise began over 8 years ago when she kicked her pack a day cigarette habit. She quit cold turkey and bought a pair of running shoes knowing that it would take a complete lifestyle overall for her to succeed. It began with a simple run/walk method and an abundance of determination. This quickly led to the experimentation of other exercise mediums including TRX, Bootcamp, free weights, and the various forms of yoga. She also purchased a Cross bike and began taking indoor cycling classes. This passion for exercise and the success she had led her to the conclusion that she needed to help others find their way. She became certified in Cycling and started teaching at the YMCA while an instructor was on maternity leave. Shortly after she became certified in TRX. This was just the start as she also started teaching Bootcamp and Delay the Disease (for those suffering from Parkinson’s Disease). 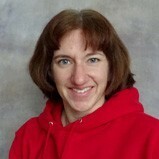 Amy is also a volunteer track and cross country coach for the Lincoln Youth Track Club. She enjoys helping new runners and seeing young athletes reach their potential. 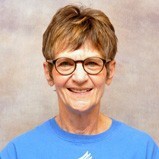 Dona Drohman has taught aerobics since 1990. She holds certifications with the American Council on Exercise for Group Fitness, Exercise Personal Trainer, as well as the Aquatic Exercise Association. She has been teaching water aerobics at Madonna since 2010. Along with exercise, some of her other interests are meeting new people, helping them achieve their fitness goals, reading and bike riding. Dona is also a breast cancer survivor. Julie also enjoys spending time with her husband and two adult sons. 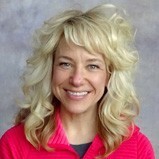 Greta Glenn, Group Exercise Instructor, has a Master’s Degree in Adult Education & Training from UNL. With a special passion for dance fitness & aerobic exercise, she adds elements of strength, power, toning, and balance moves to the classes she leads. She is energized by music and motivated by group fitness. Greta brings personality, flair, and fun to the floor! Check out her easy-to-follow yet, physically challenging workout routines. Greta’s favorite activities include gardening, time with her family, cooking, and playing cribbage. She enjoys special walks, bike rides, and trips to the lake with her golden retriever “Roscoe”. 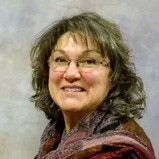 Debra Johnsen began instructing yoga in 2009. She completed her 200-hour RYT certification in 2014. Debra is working toward earning her RYT® 500. While she enjoys the variety of instructing various styles, she leans toward a slow vinyasana flow holding the asanas to experience the initial sensations of each pose and the subtle changes of each pose as each breath is taken. Debra works to not take life too seriously, and hopefully inject a little fun while exploring the safest alignment within the asanas. "Wishing you peace in your life. Shanti, Shanti, Shanti," she says. Melanie’s yoga journey began in 2004 when she took her first class. It was love at first asana. During the next 4 years she immersed herself in the movement, mindfulness and mystery of the practice. 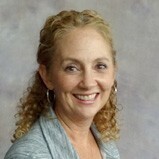 In 2008 she did her teacher training with Yoga World Reach out of Boulder, CO. It took several years of teaching to realize that anatomy was where her emphasis would grow and blossom. "Anatomy gives us a very real, tangible system through which we can organize our breath and our practice. From this place of awareness we can unblock emotional holding patterns in our tissues and use our practice to heal and grow." 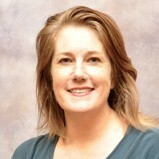 Melanie studies under Amy Matthews, coauthor of the book Yoga Anatomy. Her passion is healing by finding the imbalances in her students; helping them strengthen and release in the necessary places. Here at Madonna ProActive Melanie teaches Gentle, Flow, TRX and Restorative based yoga classes, as well as Tai Chi for Better Balance and Tai Chi Stretch. 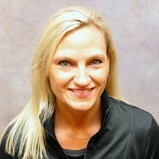 Thena Kosmicki is a certified group exercise instructor and personal trainer. Outside of being a wife and mom to 3 very active kiddos, her passion in life is health and wellness. She finds true joy in helping others meet their fitness goals. High intensity classes such as bootcamp, HIIT, Tabata and Cardio Strength Intervals (CSI) is where she has the most fun but loves exercise in all forms. When she is not planning or doing workouts her other hobbies are attending her children's sporting activities, watching husker football, spending time with family and friends and traveling. Keri Kramer began her journey into yoga in 1994 while studying art in Florence, Italy. She received informal training at Ferndale School of Yoga in the Detroit Metro Area, followed by formal training with Inner Power Yoga where she completed a 200-hour Registered Yoga Instruction certification. Keri says her artistic background lets her approach yoga in a manner similar to the act of creative expression. "Use your tools, build your skills, practice the flow, breathe through the intensity and celebrate the results," she says. Keri teaches a yoga practice method that combines elements of the Ashtanga and Iyengar methods, leading her students through a practice that will build strength, increase flexibility and apply stress management skills. 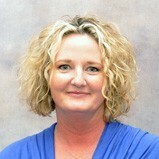 Jennifer Lienemann is a full time registered nurse with two active daughters who keep her happy and young! Fitness has been a major part of her life. She has been a runner for about five years, competing in races around the country. She says it has completely changed her life. She enjoys the challenge of pushing the limits of what she thinks she is capable of and thrives on the comradery, common goals, work ethics, and genuine friendship of the running community, which mean so much to her. Jennifer has also incorporated cycling into her workout plan! Mixing up workouts is the key to successful performance, and the variety just makes things more fun. She says the people she has met make all the difference. Goal setting is huge for her and motivating others to smash their goals is a top priority. "Join me at Madonna ProActive! I will help you reach your full potential!" she says. "I love striving to put my best foot forward, and being the best that I can be. I want you to feel the same. See you there!" 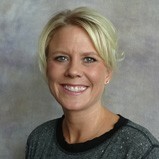 Eva Lindahl started as a member at ProActive when the doors opened. She joined the team at the front desk, and from there, decided to start teaching group fitness classes. She is certified in indoor cycling, TRX, and Aquastrong. Eva is studying for her American Council on Exercise group fitness certification. She teaches indoor cycling, TRX, Dynamic Cross Train and Results 45. Eva says she loves the members at Madonna Proactive, taking pride in her role as part of their heath and fitness goals. In her spare time, she and her husband, Gary Lindahl, operate their own business. Eva also enjoys running, biking, traveling and spending time with family and friends. 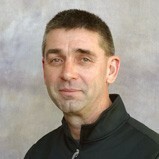 Gary has been a cycling instructor for the last 20 years. When he heard that Madonna was opening a new, medically-based health and fitness center, he applied and accepted the position of cycling instructor, becoming the only indoor cycling instructor the first year Madonna ProActive was open. Since then, classes have grown from just three days a week to six days a week, multiple times a day. Gary is married to Eva Lindahl, another instructor at Madonna. They have two boys, Spencer & Ryan. 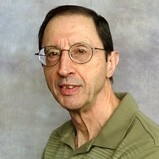 Gary enjoys all sports and all outdoor activities, except maybe running. Vanessa Medina recalls the first time she attended a yoga class, she left feeling centered and balanced even though she could not do most of the poses, and the instructor radiated such an amazing vibe that it kept her going back. When she obtained her 230-hour certification in 2009, she thought she needed to deepen her personal practice, but didn't realize she would be teaching yoga just a few months later. She says being a yoga teacher has given her the opportunity to learn so much from her students. She teaches gentle flow and vinyasa styles. She loves to use props and find variations for the poses, since everybody is different. "I believe that any one can practice yoga as long as you let go of comparison and practice self-kindness," she says. 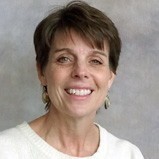 Betsy Miller has taught fitness classes in Colorado, Missouri and Nebraska over the last 15 years. She has a background in dance fitness, TRX, cycling, yoga and boot camp, but especially enjoys working with the older adult population. Karen Mills has been active in the fitness industry for almost 50 years. She is a certified group fitness instructor, as well as certified in group cycling, kickboxing, TRX, mat Pilates, Body Pump and Body Step. Karen also teaches aquatic classes. She says she loves the people she meets as an instructor. Melissa Moates is a certified Aquatic Exercise Association instructor and has been teaching water exercise classes for the past 18 years. She caught the “water bug” after a friend invited her to attend a water class while in college. 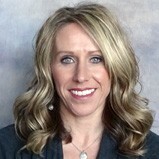 Melissa has a Master of Music in vocal performance and teaches music full-time for Lincoln Public Schools. She performs, writes, adjudicates, and teaches privately. A farm girl and native of northeast Nebraska, she is married to Bill and has three children. 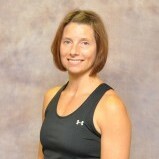 Katie Packard has been teaching group fitness for nearly 20 years. She teaches many different formats including cycling, bootcamp, HIIT, kickboxing, step, and is also certified in BodyPumpTM and BodyFlowTM. 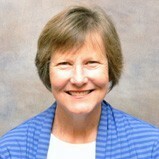 She is a Professor of Pharmacy at Creighton University specializing in cardiovascular health and primary prevention. She has three children, ages 6, 10 and 12. In her spare time enjoys reading, hiking, and outdoor cycling. Erica Peterson has been teaching fitness classes for 20 years. She enjoys motivating people to be their best every day, and her goal is to make participants feel like they accomplished something after leaving her class. "Having fun, enjoying every moment, and finding your personal best is the goal to every workout! Can't wait to see you soon!!" she said. Erica, who has lived in Lincoln since 1997, enjoys spending time with her husband and three boys, ages 11, 8 and 2. While Maria Pham has practiced yoga for 15 years, she received her certification five years ago. Maria enjoys teaching yoga to beginners and watching their progress. She likes to focus on the alignment of the poses and balance and will change the practice according to the seasons. Maria says people who think that are not flexible should take her yoga classes because they are very simple. Roxie Romero says her fitness journey began when she lost a bet with her cousin over football (something she doesn’t know that much about). It led her to find her bliss on an outdoor bike. Roxie started taking indoor cycling classes to supplement her off season, but soon got equally hooked! She loves everything about indoor cycling, a low impact and challenging workout combined with a great playlist, motivating instructor and team-like atmosphere. "Leave the stress of your day behind, and come join me on a fantastic ride!" she says. Roxie also loves music, her Kindle, a ride with NO wind, her family (including her mini-goldendoodle), Starbucks iced green tea, a clean black car and helping others find their bliss! 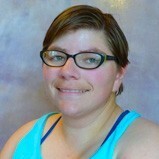 Michelle Schmidt has been teaching fitness classes for almost 20 years. She has certifications in a variety of classes, including group exercise, spinning, TRX, HIIT, kickboxing, Step, Les Mills BodyPump, and many other various continuing education courses over the years. Michelle is also an avid runner who participates in many races. Michelle also works as a hair stylist. She says she loves that both of her careers help people feel beautiful about themselves, inside and out! She is married with two kids, ages 12 and 9. Barbara Schultz has a passion for health and fitness. Originally from the East Coast, she has lived in Lincoln for nearly 20 years after falling in love with a Nebraskan. 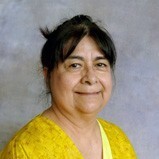 Barbara took her first yoga class in high school and has since continues her personal practice. 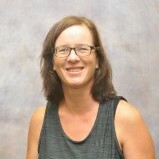 She has been teaching since 2014. She has also taught figure skating classes. "I'm honored to share the gift of yoga to everyone who walks into the meditation room," she says. She is a big fan of group fitness classes because they offer support and motivation. Even though she teaches yoga, don't be surprised if you see her in the back row of other fitness classes. When not teaching, she and her husband are compassionate supporters of dog rescue. They have two rescues of their own, a goldendoodle and soft-coated wheaten terrier. After retiring in May 2014, Bob Servedio became a member of Madonna Proactive, joining his wife, who has been a member for nine years. An avid biker and looking for an aerobic program during the winter months, Bob took a spinning class and has been doing it ever since. After a couple of years of attending regular spinning classes, Bob started occasionally substituting as an instructor. In October 2017, he completed the Stages Cycling Certification Course. In November 2017, Bob became a member of the Madonna Proactive team as a spinning class instructor. Bob and his wife, Ceil, have made Lincoln their home since 1975 and enjoy movies, live theater, museum exhibits and other cultural events. Karen Shanks has been teaching group fitness classes for almost 15 years, with certifications in Les Mills’ BodyPump, BodyAttack, BodyFlow, and BodyStep, as well as TRX and kickboxing. She has a heart for helping others stay fit and healthy and having a fun experience in the process! 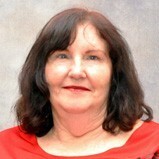 Karen is also a certified Reiki Master and enjoys giving the mental, emotional, and spiritual healing that Reiki offers. Besides, fitness, Karen enjoys biking, spending time with her husband, two children, and nine grandchildren, and loving on her twin dogs, Hazel and Maizy. Carmen Skare loves teaching Madonna ProActive’s RetroRobics class. She started her career as a fitness instructor in the early 80s! 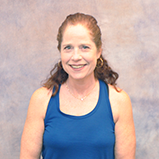 She has taught aerobic, step and sculpting classes in Lincoln, Nebraska; Austin, Texas; and Oklahoma City in national fitness centers, private fitness clubs and corporate wellness programs. She is certified by the International Dance Exercise Association/American Council on Exercise as both a group fitness instructor, as well as an instructor trainer through the ACE Academy. She has worked with senior populations as a fitness trainer at a local retirement community, and was a co-founder in the original Lincoln Alliance of Fitness Professionals (LAFP). 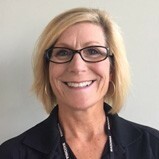 In addition to teaching group fitness classes in Lincoln, Carmen is the Executive Director of the Nebraska Psychological Association. She loves hiking, especially in the Rocky Mountains and is married to Joe. They have two teenage kids – Canyon and Isabella. Kristin Wegner received her Zumba license four years ago. She loves Zumba because it is for all ages and levels, including those without dance experience. "I love all the different styles you get to experience in Zumba, with the great music. That leaves me feeling great after a class," she says. When not leading classes, she works at a preschool. In her spare time, she loves photography. A total body weight training class that concentrates on exercises to improve muscular strength and endurance giving you “head-to-toe” training. Get a complete cardiovascular workout using the step & walking track. We incorporate weight training with light dumbbells, body bar and resistance bands. A core focused class that also includes complementary exercises and some cardio based movements for a full body workout. Multiple styles of equipment used during class. Put a “spin” on your workout! Cycling is a cardiovascular workout on stationary bikes for the mind, body and spirit. All fitness levels can enjoy this fast-paced ride. Cardio Fit Cycling mixes technique-based riding, sport specific drills and motivating music which combine to make for an exciting and unpredictable ride. Cycling/Yoga is a quick 30 minute ride followed by 15 minutes of yoga. Great for those new to cycling and yoga! Incorporate a variety of dance movements to enhance fitness; focus is on toning, building lean muscle strength, and a cardio workout. This class is geared toward the non-dancer. A collaborative combination of cardio, strength training, and stretching. Utilizing techniques from team sports, station drills, kettle bell training, body weight training, and low and high intensity workout routines. High intensity interval training incorporates body-weight exercises, kettle bells, hand weights, exercise balls, running, plyometrics, core work and more. Designed for the participant who wants to challenge their overall fitness condition. Total body workout involving cardio & strength training using a variety of drills, intervals & high intensity movements. Classes start in the studio but may move to the track, gym, outdoor spaces and treadmill area. This class gives you a full body cardio workout with our kickboxing bags (gloves required) and includes movements with and without the bag to increase your heart rate. In this class individuals bend and stretch through a series of simple yoga moves and elements of Tai Chi and Pilates. Breathing control is a part of all exercises. Strengthens entire body and provides a calm and centered result. This class is a barbell workout for anyone looking to get lean, toned and fit – fast. Using light to moderate weights with lots of repetition, the class gives you a total body workout. 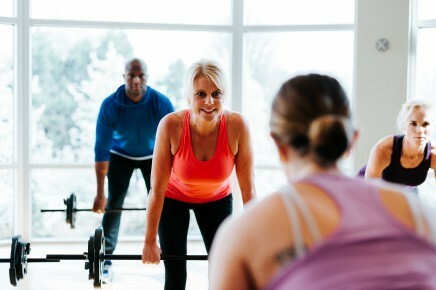 Instructors will coach you through the proven techniques while pumping out encouragement, motivation and great music. Designed for individual who is new to Pilates or may need some modifications for an orthopedic or medical condition. Experience a variety of guided imagery, visualization and relaxation techniques. This class is wonderful for those working on stress management or working through grief. For individuals who have completed the LSVT Big program; incorporates the 7 maximum daily exercises learned in the program. Exercises emphasize high effort and large amplitude whole body movements to improve gait, speed and balance. A dance workout class using basic to intermediate choreography that all fitness levels can enjoy. This high energy cardio and dance movement workout is FUN! This low impact chair workout involves safe dance movements for the upper and lower body for any participant who wants to enjoy movement to music. Appropriate for wheelchair participants. Add more movement and flexibility with upper and lower body stretching and integrated fitness techniques to help tone. This class incorporates relaxing and healing stretches and promotes pain reduction and muscle health. This class is a high intensity workout with high or low impact options and includes strength and cardio movements. It consists of 8 rounds of 20 second work intervals followed by 10 second rest intervals. Incorporates gentle, fluid movements at a slow tempo and teaches mind-body meaningful movement patterns. Tai Chi can help increase balance, concentration, and coordination; beneficial for individuals with Parkinson’s, MS, and ALS. Combines different Qi Gong movements to direct and cultivate the flow of energy (chi) throughout the body. The movements combine breathing techniques, mental images and mindful body movements. A total body resistance exercise method where suspension straps and bodyweight are used to develop strength, balance, flexibility and core stability simultaneously. Gravity and body weight is leverage in multiple ways in this circuit style class. Introduces safe practices and the fundamental movements of TRX; allows the check out TRX straps for individual use. Yoga is beneficial for joint mobilization, flexibility, mind body connection, relaxation and more! Gentle Yoga is supine, seated, and prone poses. Yoga I can include standing and balance poses, sun salutations, and/or more basic vinyasa sequences. Yoga II introduces advanced standing and balance poses (arm balances), advanced vinyasa sequences, and more challenging inversions. Yoga III is a more advanced power yoga class that includes challenging inversions and sequences. Chair Yoga is a vinyasa style class using a chair as a prop which can help increase balance and alignment and allow students to go deeper in the poses. Experience a low impact cardio workout using a variety of exercises to improve strength, cardio and flexibility. This class also includes balance drills and some floor exercises on the mat for core. A great full body workout!